About a week ago my eyes were drawn to a post in my RSS feed boasting an image for a new Oddworld game. 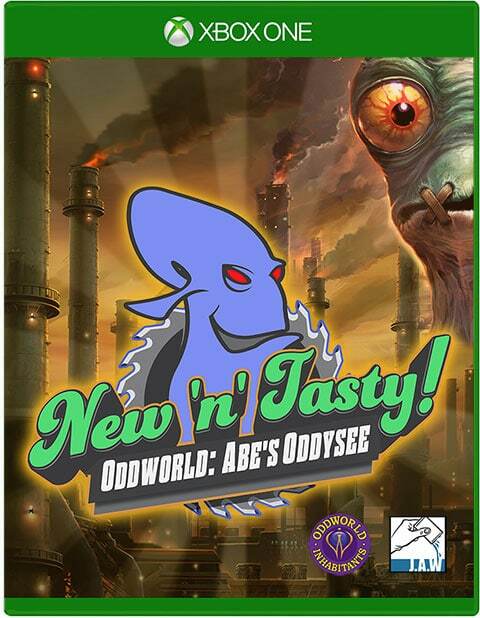 Well…a “reveal” to me, at least, as it turns out that I somehow completely missed the 2014 release of a “ground up remake” (that just means they didn’t just polish up the graphics a little, they did something quite a bit more extensive) of Odyssey entitled Oddworld: New ‘n’ Tasty. I quickly tracked it down on the web and discovered it was indeed available on the Xbox One as a digital download. $20 later (for the Deluxe edition which included two DLC packages) and I was hooked on Oddworld once again. Exactly like Odyssey back in 1997, you play Abe; a Mudokon. Mudokons are enslaved by another race of beings called Glukkons and forced to work within their meat processing facilities. The trouble is profits are down across the board. Scrab Cakes, Paramite Pies, Meech Munchies…all of them are underperforming and the Glukkons are concerned. 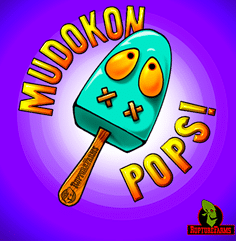 A Glukkon by the name of Molluck pitches a new product: Mudokon Pops! Their projected profits are off the charts and the board seems pleased by the proposition. Abe overhears the plans and in fear for his life flees Rupture Farms. When he successfully escapes, he’s greeted by Big Face, a Mudokon shaman, who sends Abe on a quest to triumph over a series of trials to earn the power he’ll need to free the rest of his Mudokon people from the meat processing plant and its villainous overlords. 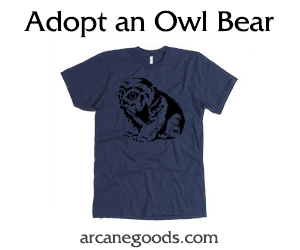 You also have the ability to perform a chant that opens portals and can even grant you control of nearby enemies. That second bit provides some of the game’s most gratifying moments when you take control of a Slig and use him to gun down other enemies before causing him to explode into a thousand pieces. 2. Adequate Difficulty. The game is comprised mostly of puzzles that require you to navigate an area and perform a sequence of events to save as many Mudokons as you can or progress to the next area while avoiding Sligs, Scrabs, and Paramites as well as several environment hazards. The puzzles usually require some platforming finesse and sequential reasoning (do this thing first then that other thing). Many are easily solved. Many more are easily solved but prove fairly tricky to actually execute. Still others will require quite a bit of trial and error. The beauty of the game’s design is that Abe has infinite lives, so trial and error is facilitated with minimal risk. Checkpoints are aplenty and you can perform a Quick Save whenever you’d like and with whatever frequency suits you. I’ve been known to perform a task – even a simple one like jumping over the first in a sequence of landmines – then Quick Save before attempting the next. 3. A Whole Lot of Character. There are not a whole lot of characters in New ‘n’ Tasty, but there is an awful lot of character to the game. The world is just plain fun to be in! You’ll find that even when the environments seem repetitive, the quirkiness of those who occupy them, both friends and enemies, make the experience plenty entertaining apart from any backdrops. As much as I love playing the game, it is far from perfect. I’d be lying if I suggested there weren’t times when I wanted to strangle Abe and feed him to the closest Scrab. Most of the game’s failings come by way of Abe’s movement. Walk and run aren’t distinguished from one another by the press of a button; you press the joystick left or right and hope he moves the speed you need him to in that moment. Sometimes you’ll need him to outrun some Paramites and he’ll insist on his lanky walking gait. Other times you’ll want him to take a step forward and he’ll sprint right off of the nearest convenient cliff. In a primarily platforming kind of game, precise and controlled movements are nearly everything, so when it suffers the whole game suffers right along with it. This isn’t necessarily a travesty given the ubiquity of checkpoints and the Quick Save ability, but you’ll unfortunately find yourself having to rely on those features far more because of finicky movement than for actual failures or blunders. Oddworld: New ‘n’ Tasty is an enjoyable and immediately accessible game for all ages that will challenge all ages nearly equally. Well…so long as “all ages” excludes the demographics cautioned by the game’s rating (T for Teen for blood, crude humor, language, use of tobacco, and violence). It is a game you can play for an hour and get far or play for five minutes and still feel a sense of accomplishment. You’ll love its balance of simplicity and challenge as well as the world and its quirky inhabitants – Abe included and possibly primarily. He’s just an average Mudokon with a higher calling. That’s a compelling formula for a hero if you ask me. 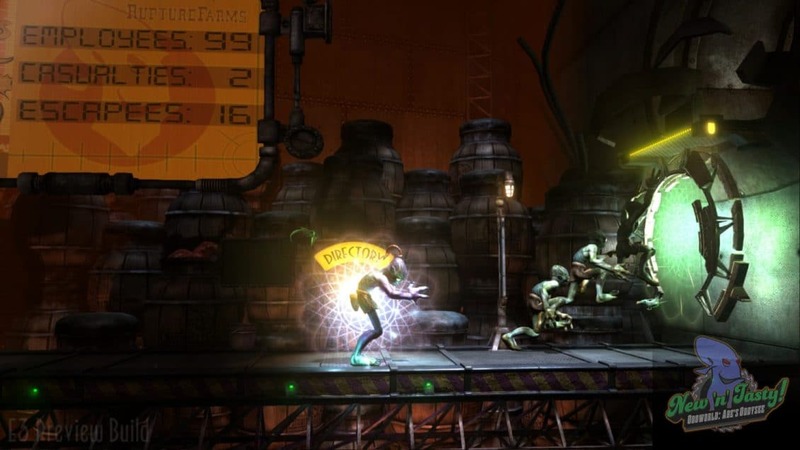 I give Oddworld: New ‘n’ Tasty 8 out of 10 Nerds. The Reviews for Marvel’s Civil War 2 are All Over the Place. What’s going on?